These pictures of seven sisters rose were taken earlier this month. It has been raining almost daily since it’s monsoon season. Fortunately the seven sisters does not suffer so much except for the attack of thrips and occasionally blackspot fungus on the leaves. This was taken right after the rain stops one afternoon. 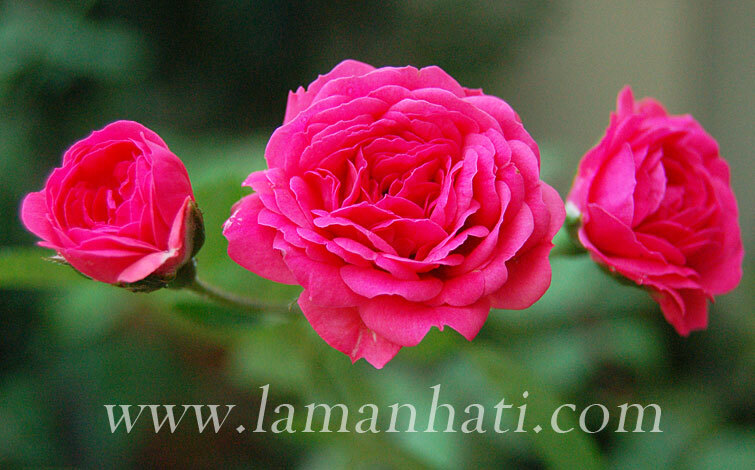 The fragrance of seven sisters is heavenly, one of the best reason why a rose lover should have one in her garden..heh! I lost many of the buds due to thrips. Some managed to bloom halfway and then they wilted. 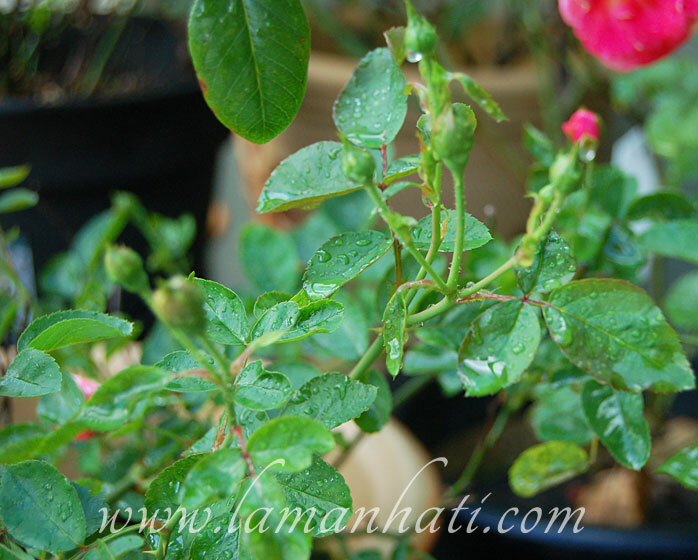 I have to spray chemical pesticide/insecticide every now and then to maintain most of my rose plants. 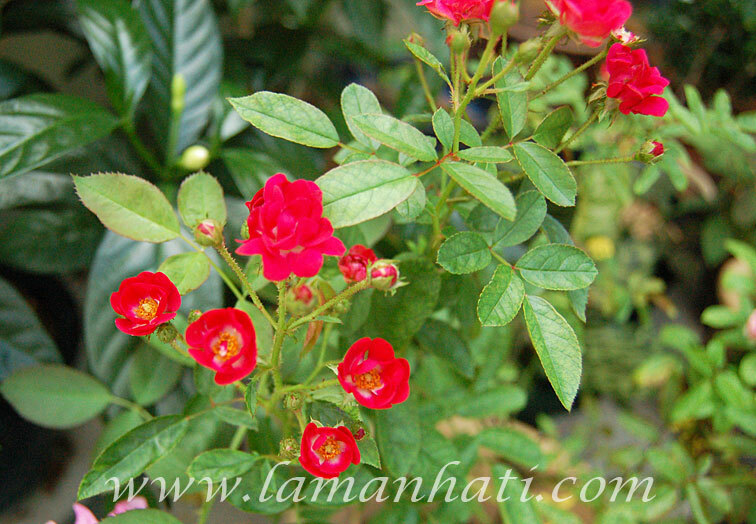 For more info on seven sisters, please read my previous entry – Seven Sisters Rose. 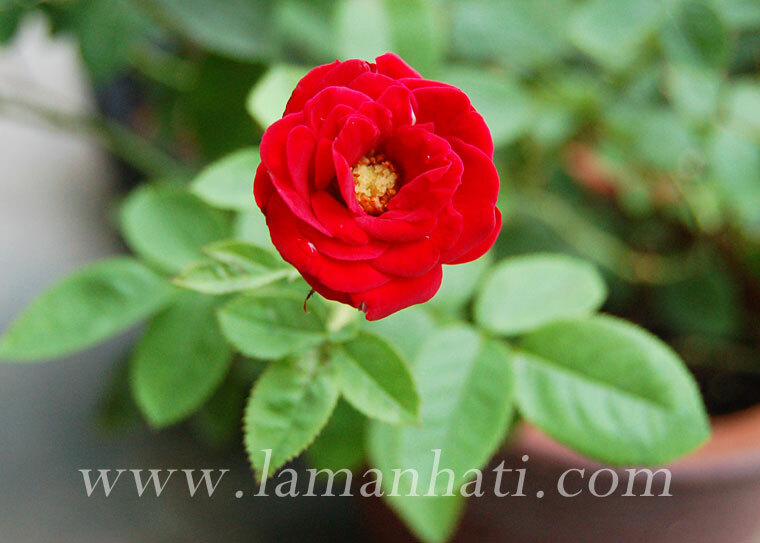 I have mentioned about this wonderful red rose before in my post Rose Lavaglut. These 2 pictures were taken in September. At the time it was taken, it was blooming profusely before I neglected it for 3 days. To save the plant from further abuse (haha!) I have pruned and deadhead it. You wouldn’t believe the level of abuse you could inflict on poor rose plant when you forgot to water it for 3 consecutive days. All the new blooms and leaves wilted. Since now the rainy season has started, I hope this Lavaglut will keep on blooming great red flowers. They are certainly a joy to look at even in dark, rainy day. 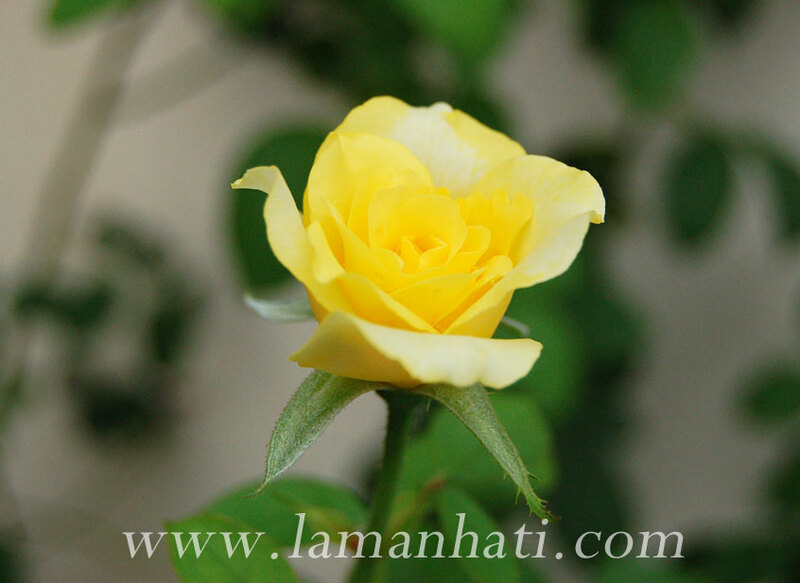 I bought this wonderful yellow rose plant in May 2012. Ever since then it has bloomed quite profusely. I am not sure what kind of rose the plant is, even the real ID is unknown. 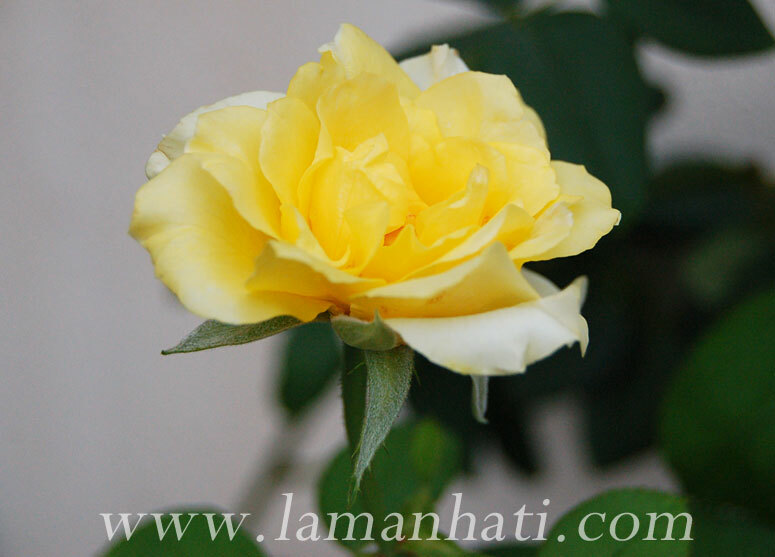 The other rose lovers I know call it Lemon Sonata. So for the sake of identification, we’ll call this Lemon Sonata until the exhibition name could be found. I think it’s a hybrid because there’s only one flower on each stalk whenever it blooms. The plant is upright and not bushy. Will update more once I manage to get more information about this lovely yellow rose. I bought this in May but only able to write about it in September. It’s called Clair Martin rose. I think it belongs to modern shrub rose family. After I brought it home I made a mistake by pruning the end of the branches. I am still waiting for it to bloom again..huhu! I think I need to repot it into a bigger pot and find a space where it can climb. 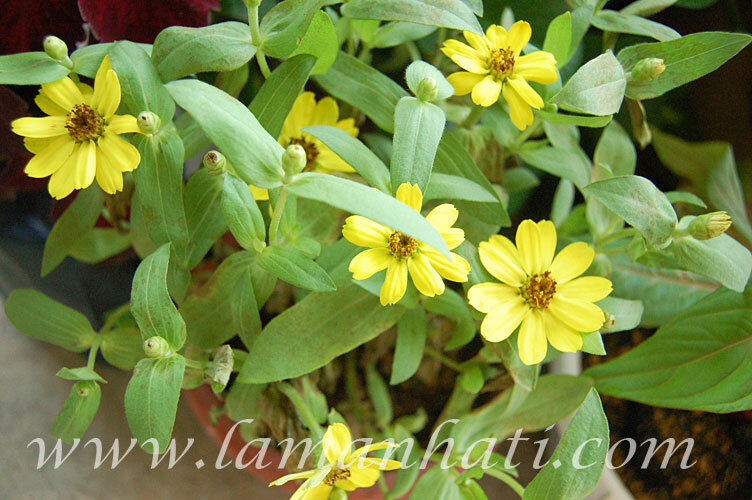 I found this picture of yellow flowers taken in May 2012. I think it is cosmos but after reading description on cosmos, I realized that my cosmos have smaller petals and very different structure of leaves. I planted it from seed given by a friend. However due to my lack of knowledge in growing annual flowers it died after a month or two. Yellow cosmos is a sun – loving annual; it will not produce as many blooms if grown in the shade. Choose a location that receives at least 8 – 10 hours of direct, sunbathing sunlight. Cosmos will perform best if grown in well-drained soil. Yellow cosmos is not a heavy feeder. Excess fertilization will cause plants to produce excessive leaf growth at the expense of flower production. These were the biggest mistakes I made with my plant. I over water, put them in shade and fertilized them too much..haha! 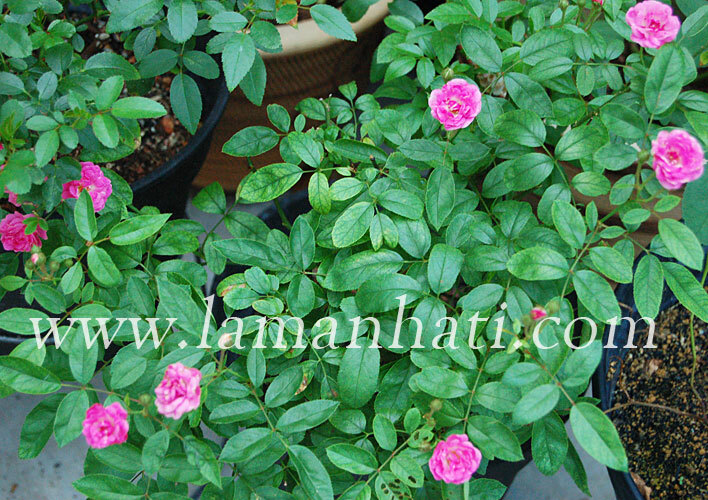 I bought seven sisters rose about 3 months ago, main reason because of the multiple blooms and its sweet fragrant. The climbing rose most of our Grandmothers grew. 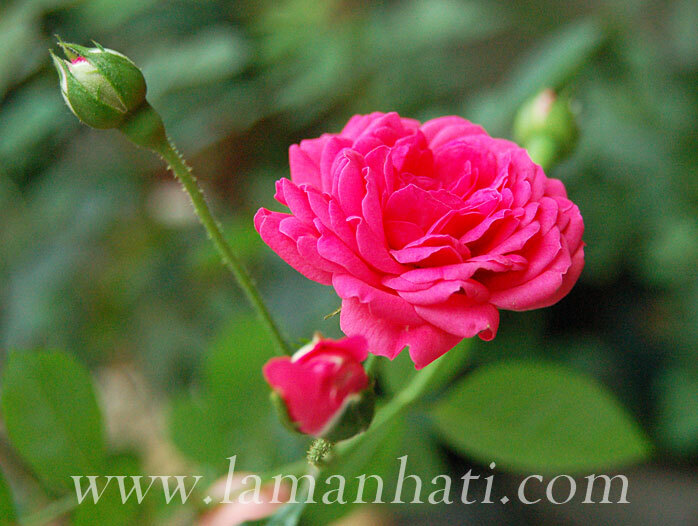 The rose is once-blooming, but carefree and very fragrant. The ‘seven’ in Seven Sisters is often said to refer to the seven shades of pink in the roses. The blooms are fully double and lovely. Zones 5-9. I hope my seven sisters will last long. So far I haven’t found any serious problem and disease except for occasional black spots on the leaves. 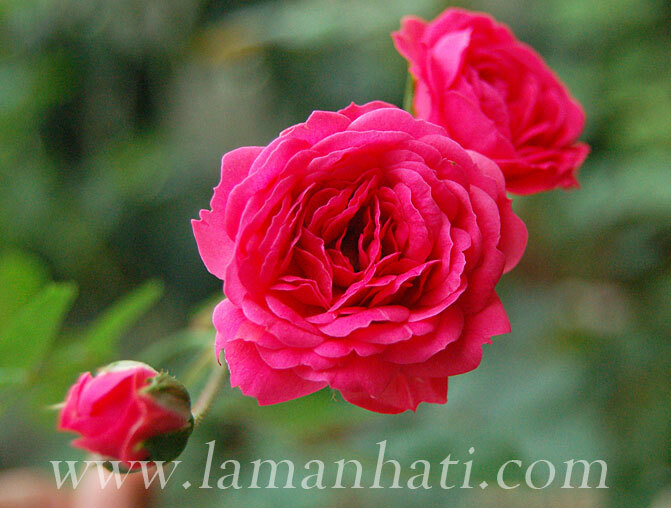 I have written about my red china doll in the previous entry – Polyantha Rose-China Doll Red. Recently my china doll pink has bloom profusedly. These are some of the picture I managed to take. Check out other varieties of polyantha rose at Santa Clarita Valley Rose Society website – My Favorite Polyanthas Roses. ‘China Doll’, mp, 1946, Lammerts. ARS Rating 8.2. A vigorous spreading polyantha, ‘China Doll’ produces large flushes of china-rose pink pom-pom blooms. It is also an excellent exhibition polyantha, ranked #2 nationally. The blooms are double, cupped, and of moderate size for a polyantha. They appear in large trusses on a bushy plant with leathery foliage. 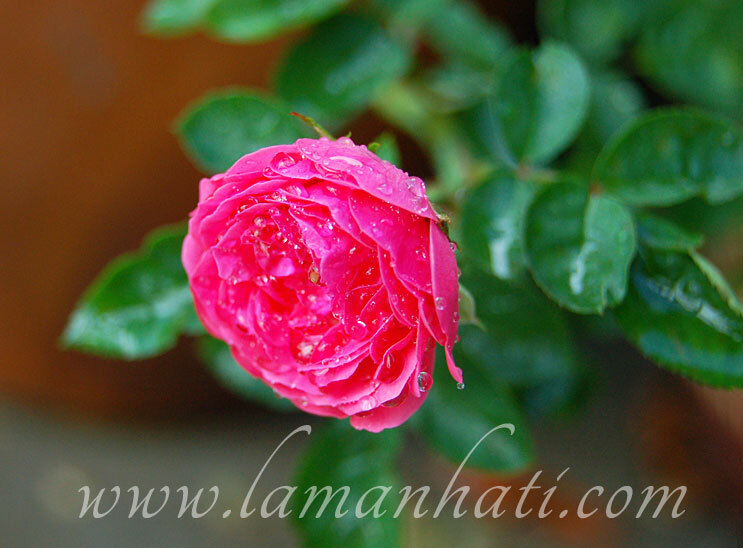 Hybridized by Dr. Walter Lammerts, it is a cross of the polyantha ‘Mrs. Dudley Fulton’ with the miniature rose ‘Tom Thumb’. 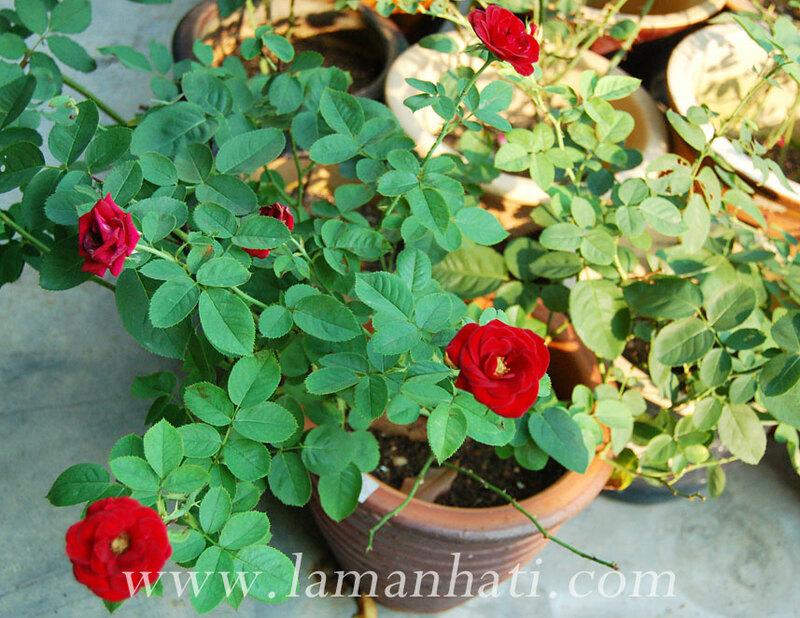 When I first bought this rose plant, the local rose lovers said the name is Dcarpet. The petals are bright velvety red, like a thick carpet. Later on I found out that its exhibition name is Lavaglut. Bred by Reimer Kordes (Germany, 1978). Dark red. Mild fragrance. 24 petals. Average diameter 2.5″. 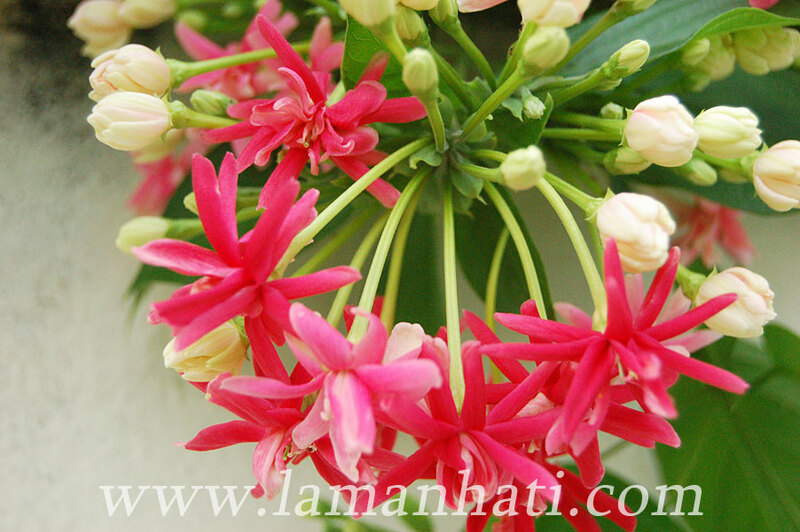 Medium, full (26-40 petals), cluster-flowered, in large clusters, exhibition, globular bloom form. Blooms in flushes throughout the season. 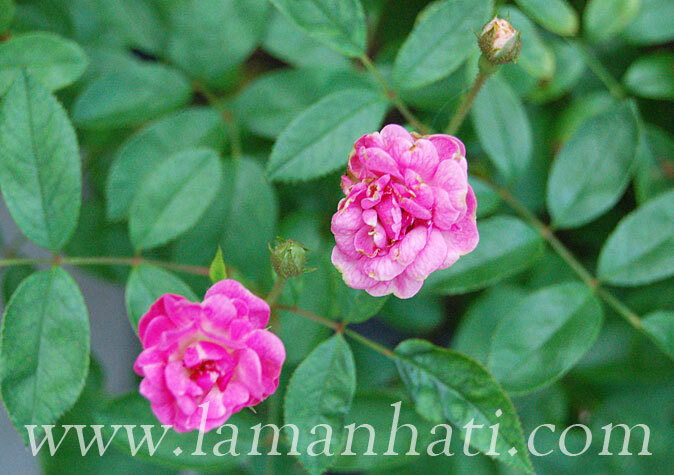 The Lavaglut rose is an exemplary little plant. It forms a beautifully rounded bush about 3 1/2 ft tall and wide, which bears large bouquets of smallish, dark red blooms. The neatness of the plant form and the dependably moderate size of the bush make it an ideal landscape plant which will not outgrow its placement. Lavaglut is rather late starting up, but once underway, it is a most dependable source of unfading color. The blooms are initially slightly cupped, and open to two inches wide, lasting almost longer than seems possible. The first flush of bloom is most pleasing, but over time more and more of these deeply colored, very long-lasting bouquets will adorn the plant. I have been planning to get this plant for so long since the first time I saw it bloomed profusely few years ago in one of my friend’s neighborhood. I finally bought it in Floria 2011. At first I planted it in pot and somehow it didn’t grow well. I decided to uproot and planted it in the ground. It grows but no flower comes out for almost a year. And then I realized that such plant needs to climb over something for it to start to flower. So I trained the new shoots to climb over another plants and onto my house’s postbox wall..and it works. Check out the picture taken by Mr Hubby this morning when he was going to work. Lovely, isn’t it? And this was taken the evening before when I went out to water the plant. I’m having blocked nose so I couldn’t enjoy the sweet fragrance..huhu! 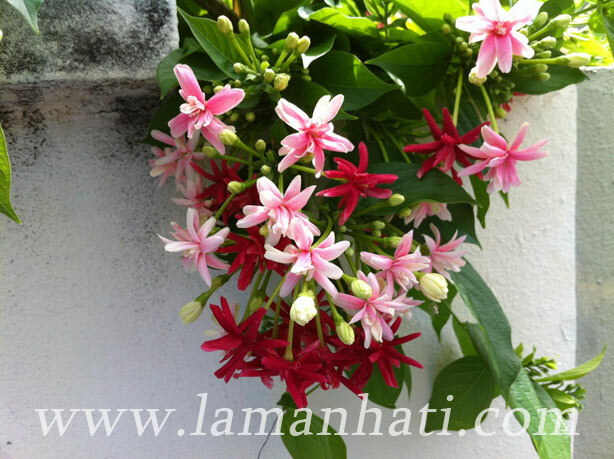 Quisqualis indica is just one of the tropical, flowering vines that we offer. It is suitable to many gardeners all over the country because of its tolerance to be trimmed to any size. It can also be grown in pots. As the weather warms up, the display of flowers will begin to cover the lush foliage. Rangoon Creeper has a unique bloom. One plant will carry 3 different colors of flowers. Flowers starts white and with age turn pink and then red. If that wasn’t enough to please most gardeners, the flowers have a slight fragrance too. We carry 2 varieties. One with a single flower and another with a double. The single form is much easier to propagate, making it more common and readily available. Both are equally beautiful. The plant goes semi dormant during the winter and resprouts again when it warms up. Trimming is advisable just before it starts sprouting in late winter. I just found out that China Doll in red color that I already have in my garden belongs to polyantha family, the same family as Yvonne Rabier. 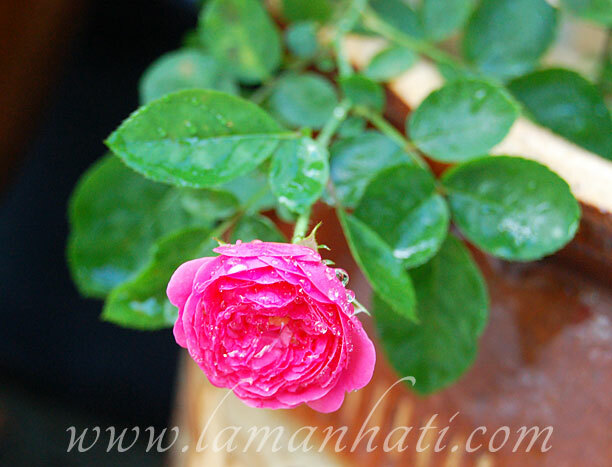 The one that I bought came from Thailand and was grafted, thus the look like a rose tree. 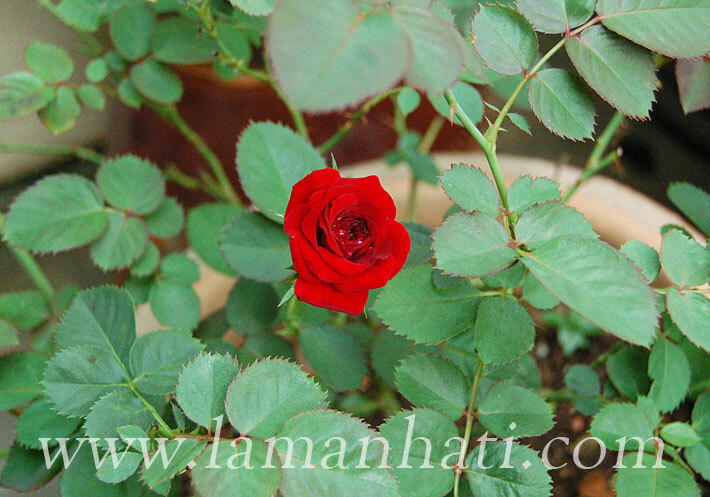 The normal, non grafted China Doll is supposed to be a small shrub rose (about 18 inches tall). China Doll was hybridized by Lammerts in the U.S. and introduced in 1946. Its 1-2 inch bloom clusters have won 43 Polyantha Spray awards since 1998. 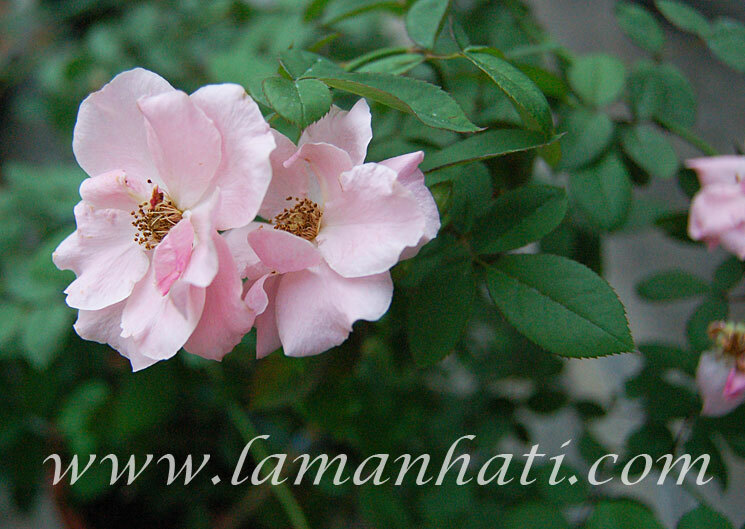 It is one tough hybrid Polyantha that does not need much care. The flowers emit tea rose fragrance. I have another one in pink. I will share the picture once it blooms again.